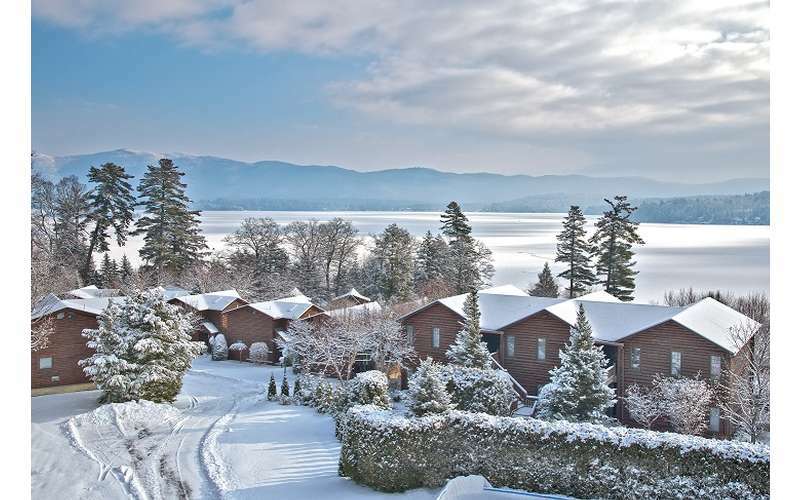 Escape to our top-notch resort nestled in the Adirondack Mountains, and experience a Lake George vacation unlike any other. 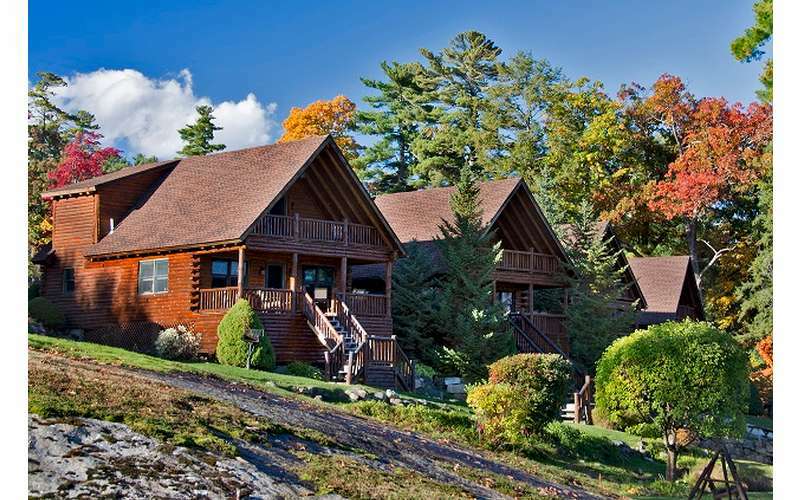 The Lodges at Cresthaven is a premiere vacation destination located in the town of Lake George, just one and a half miles from Lake George village. Our family-sized lodges feature two bedrooms, two full bathrooms, a large great room with a fully-equipped kitchen, a living area and dining area. Each lodge has a covered porch or patio, with seating facing the lake. The lodges each sleep six people, including children. They feature granite counter tops, stainless steel appliances, gas fireplaces, large flat screen TVs and a spacious 1,000 square feet of living space.The Oak Tree Lodge section of our resort is our newest addition to The Lodges at Cresthaven. 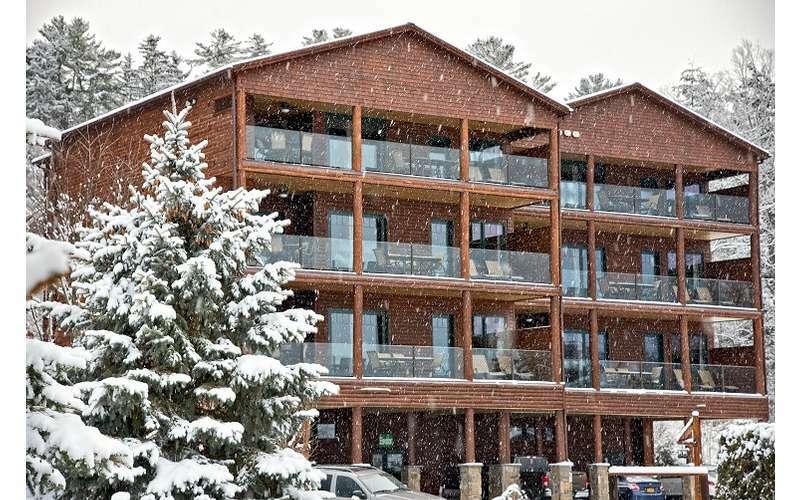 These large 1,500 square feet lodges feature two Master bedroom suites with a large great room. In the great room, there is a custom kitchen with granite counter tops, full-sized appliances, a brushed nickel farmhouse sink and a peninsula with seating. 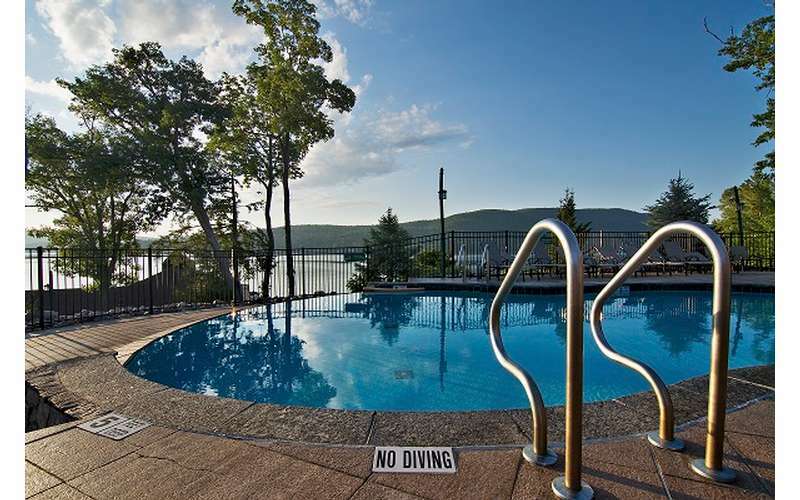 There is also a large dining and living area with a large flat screen TV, gas fireplace and beautiful panoramic views of Lake George. 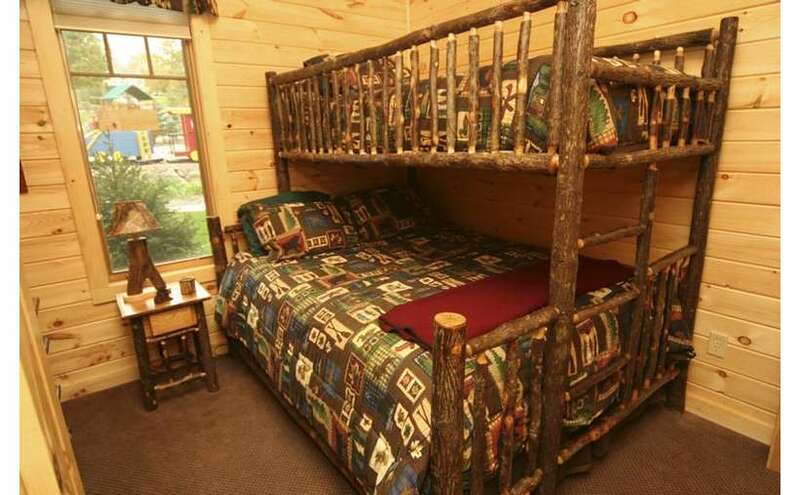 The Oak Tree lodges sleep up to six people total as a two bedroom unit. The Oak Tree Lodge units can also be rented as either one bedroom or hotel room style units in the winter, spring and fall. With a private game room featuring foosball, air hockey, card table and ping pong. Our large indoor/outdoor pool complex is open from April until November and is heated to a balmy 85 degrees for our guest's enjoyment. 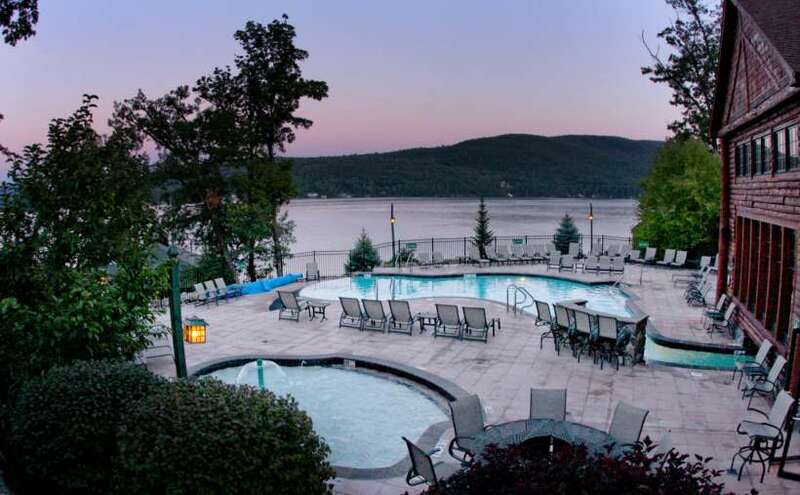 Enjoy our new grotto spa with sundeck overlooking Lake George as well as our lakeside fireplace and lounge. There is a kiddy pool with a water fountain for the small children in your party. We have a large 300 foot private, sandy beach with lounge chairs and umbrellas to relax. There is a protected swimming area with floating lily pads for relaxing on or for the kids to play with! We have boat docking space available so you can fully enjoy the lake while you are here; a children's playground with putting green, bocce courts, horseshoe pits, volleyball court, video game room and fitness room. During the summer months, we hold onsite activities for the In the winter months we also have an onsite ice skating rink and sledding hill (weather permitting). Just bring your skates and enjoy! Your vacation is located at The Lodges at Cresthaven. We offer affordable ownership options, nightly and weekly vacation options and great off season specials. 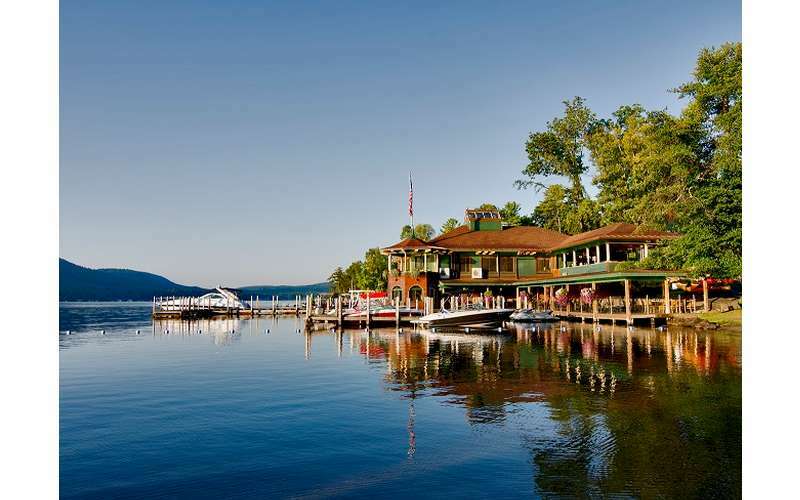 Whether you're planning a honeymoon, celebrating a special occasion, or you just enjoy the finer things in life, Lake George has some of the best luxury hotels in all of New York.